I just finished my latest commission. 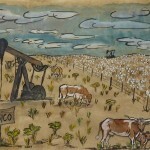 The request: Something in West Texas with cattle, cotton, and oil. 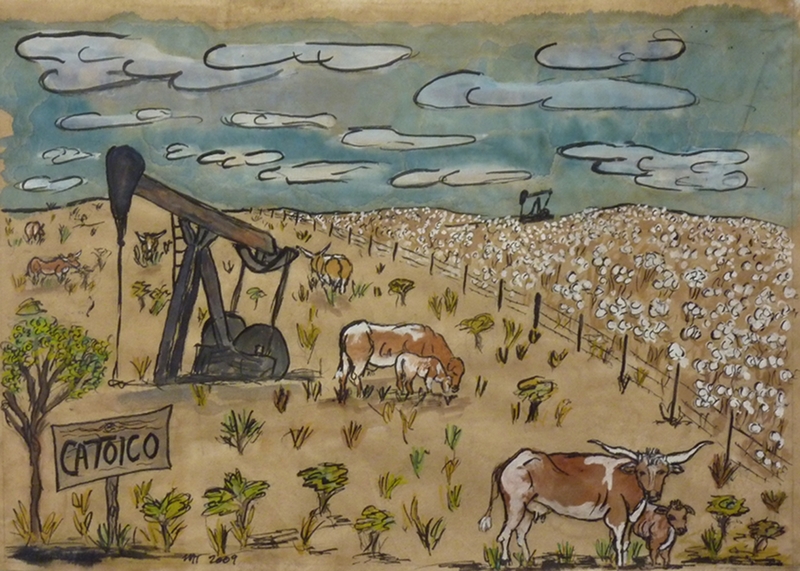 6″ x 8″; walnut ink, sumi ink, watercolor on rice paper; 2009.